Let me start this post by saying that no, I have NOT been cooking since our sweet baby arrived last week! However, the weekend before we had her, we attended a pot luck dinner for the Boy Scout troop Dan volunteers with. It was an award ceremony / rank promotion, and it was really cool to talk more to the people he works with each week and meet the high school student he has spent so much time with helping him achieve the special God and Life award! Everyone was supposed to bring something, and not knowing when I would go into labor, I opted for this SUPER easy pasta salad that my mom (and many others, I'm sure) has been making for as long as I can remember. The only thing you have to remember is that the noodles will have to cool after being boiled before you can add the other ingredients. I doubled this recipe for the event, but in hindsight, I wish I hadn't. There was SO MUCH food there. And now for the good part... the recipe! What is your go-to dish for a pot luck? 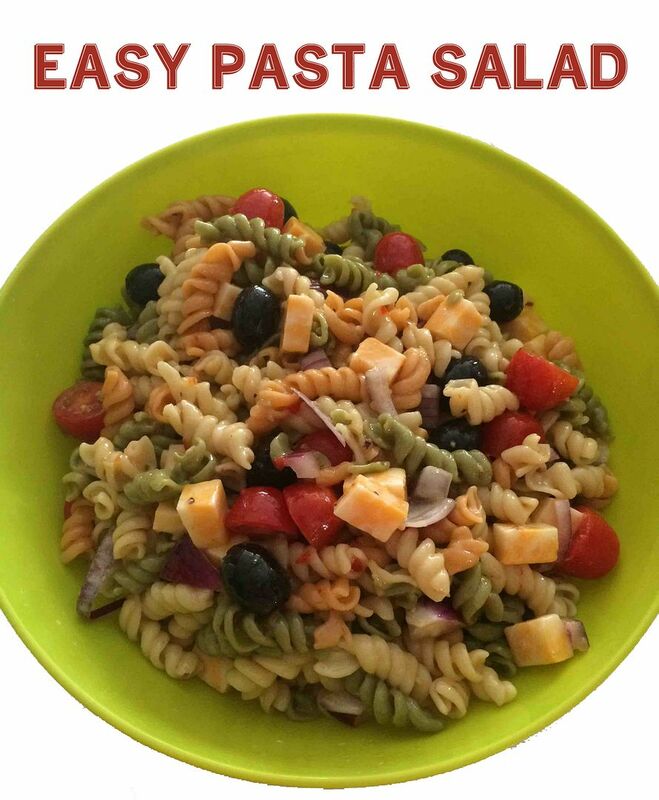 I love pasta salad, it is easily one of my favorite foods. Oo I need to try this. I love pasta salad. 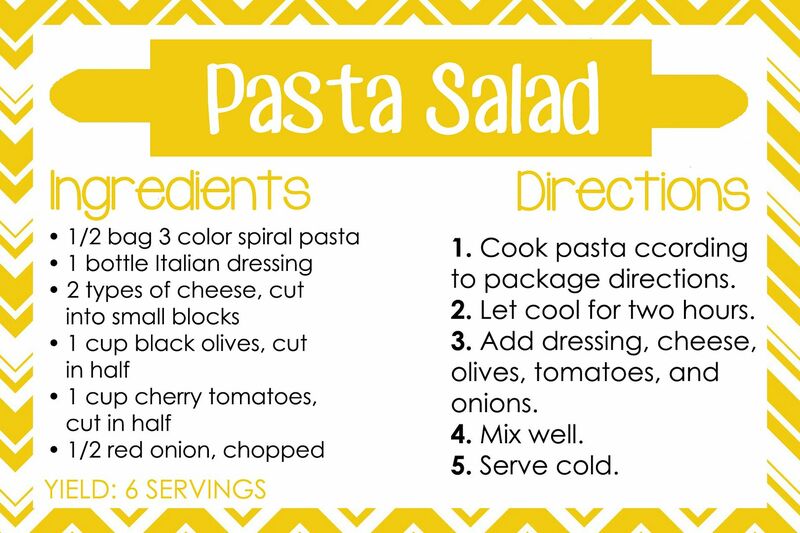 Pasta salad is actually my go-to for events! I make mine very similarly!